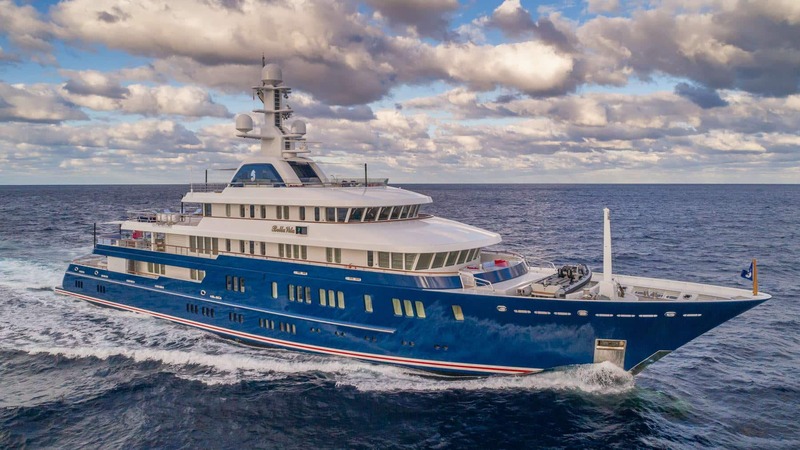 Built under the supervision of the Moran Yacht & Ship new construction team as NORTHERN STAR, the 257′ (75.4m) Lurssen was designed to cruise all oceans of the world with very limited stops. Her original owner, an experienced ocean and cruising sailor, required top-notch design and engineering coupled with seagoing comfort for his guests and crew. This was achieved by bringing together the huge amount of new construction experience of the Moran Yacht & Ship new construction team with her captain to supervise the entire build process. The interior, designed by Pauline Nunns, can best be described as a grand country home. This traditional styling is complemented perfectly by the exterior, designed by Espen Oeino. BELLA VITA’s six decks offer her twelve guests an enormous amount of space for both entertainment and relaxation. BELLA VITA is also available for charter with Moran Yacht & Ship. Contact a yacht charter broker today to learn more.